My husband and I got to enjoy an Anniversary Getaway weekend in October and I wanted to create a layout of our visit to Granville. The Jillibean Soup papers and brand new wood tags from the Tag You’re It collection made perfect accents. I started with a plain kraft paper background and cut some border strips from the Summer Red Raspberry Soup paper collection. Knowing I wanted to use some of the new tags I chose two wood tags, one kraft banner tag and one vellum with gold foil tag. Then I stamped directly onto the wood tags in a couple different colors. 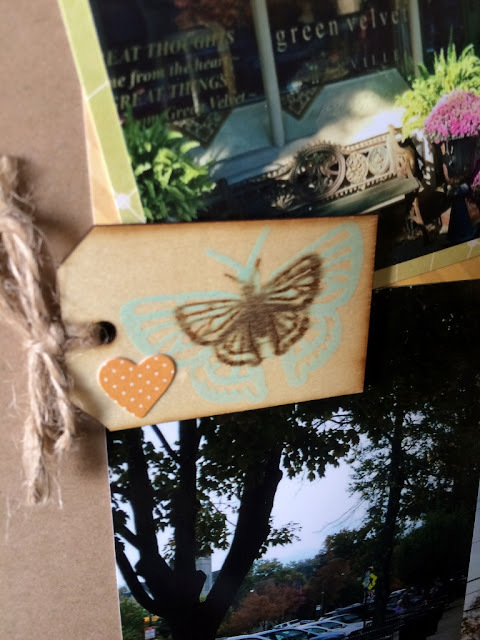 The small wood butterfly tag was stamped first in light blue pigment ink and let dry. Then I stamped a smaller butterfly over top of the blue one in brown ink. The bigger tag was stamped first with doily stamp in yellow and green ink. 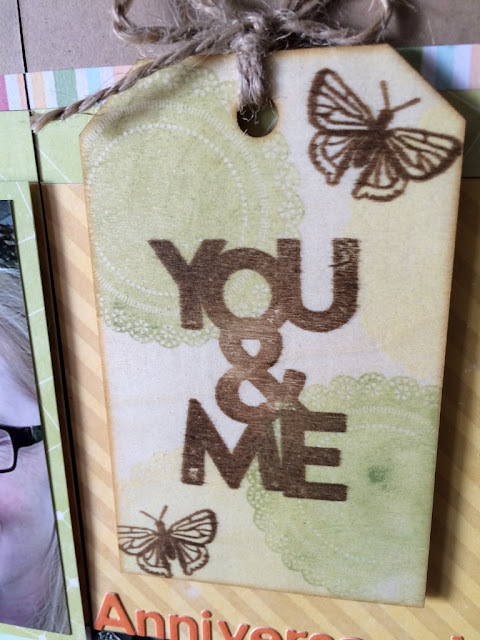 Then I stamped it again with the You & Me sentiment in brown ink. 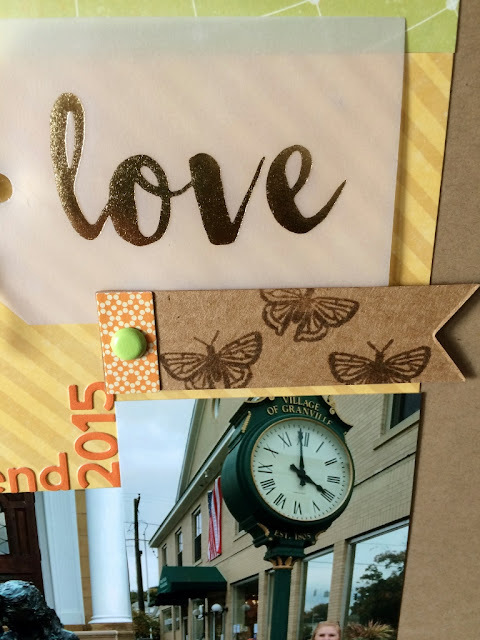 The last tag was the new kraft banner tag which I stamped three small butterflies in brown ink as shown. The design of the layout was based on a sketch by Scrapbook Generations. I often begin with a sketch to get the creativity flowing. I hope this gives you new ideas on how to utilize tags on a layout in a fun way.